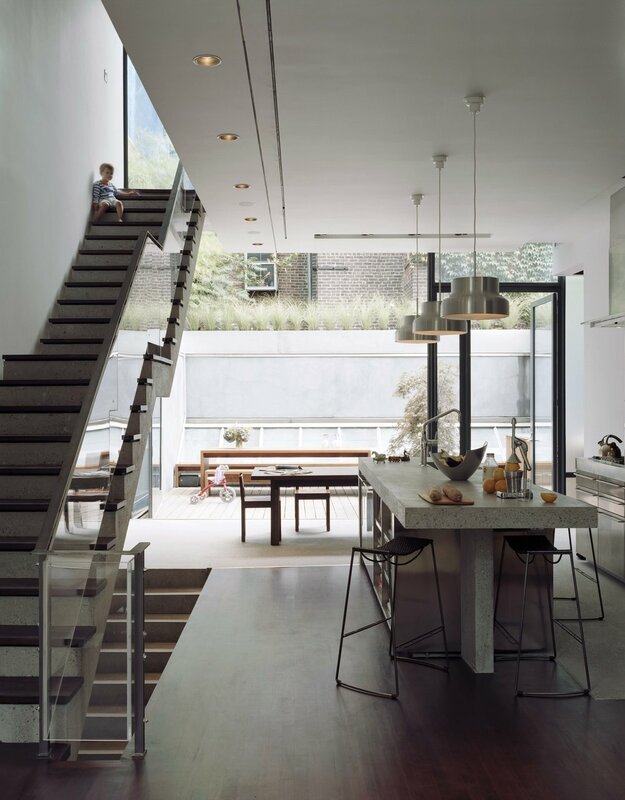 In designing this townhouse, the architects and clients were after a decidedly contemporary reductive expression to be built in the midst of the city’s most protected historic building district, the West Village. 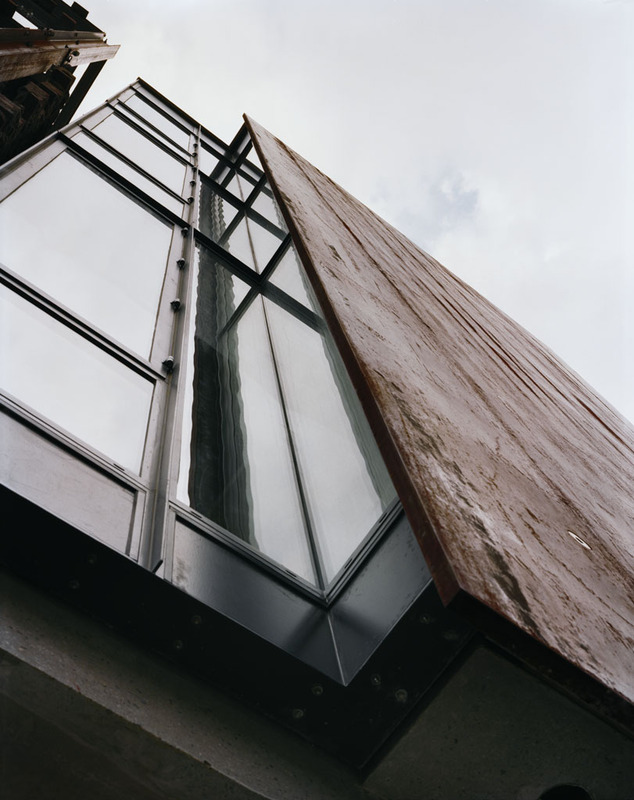 The materiality of this project was inspired by the rough-edged meatpacking district, to be contrasted with a warm and simple palette of materials at the interior. Our interest in prefabrication inspired an idea to make the entire façade out of a single piece of steel that could be lifted from a truck and bolted into place, presumably in a single day. From inside the house, the heavy, opaque front façade provides a sense of privacy and enclosure. The floor-to-ceiling, corner-glazed windows that flank the steel offer glimpses up and down Greenwich Street. From this private front, the house opens up to the east with a fully glazed three-story curtain wall. The interior of this house is awash in a glow of top light that filters down through apertures in the slabs from a massive clerestory skylight at the roof. The stairs are detailed to float in their openings, enhancing the passage of light to the lower floors.